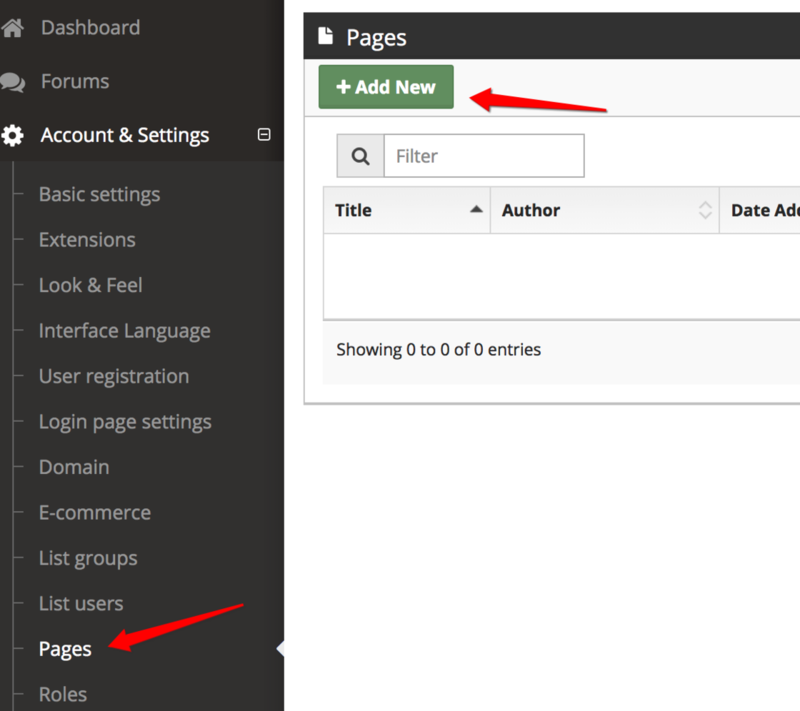 To create a new page, go to 'Account & Settings' and 'Pages' left navigation link. Enter a 'Title' and add your content. Click 'Save' button to save the page. You can edit or delete your page anytime. 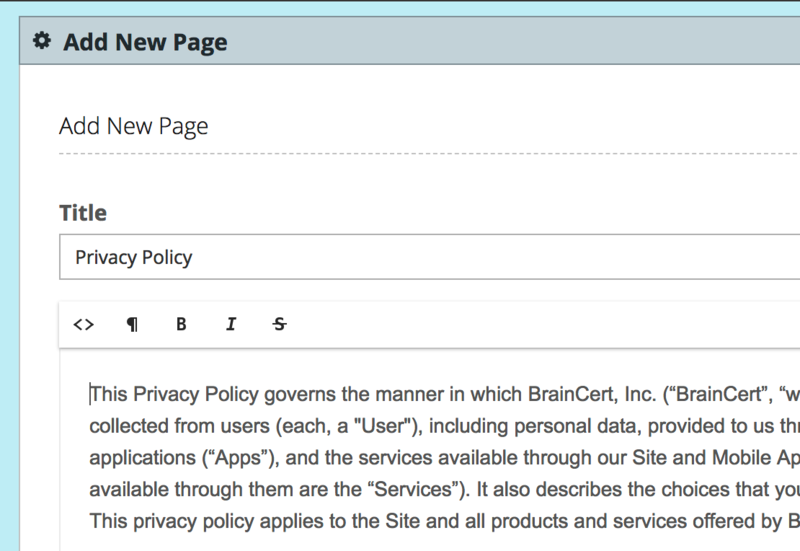 Click 'Account & Settings' and 'Login page settings' in the left navigation. 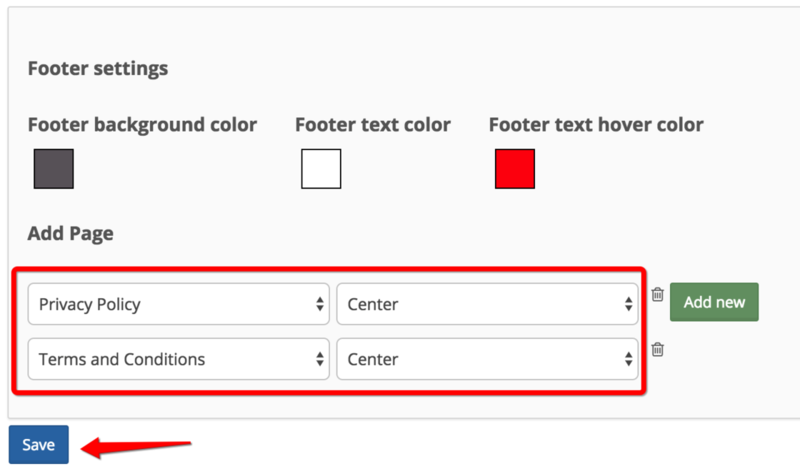 Select the page you want to assign to the footer and the page the position by simply selecting the dropdown option. Click 'Save' to apply changes. You can add as many pages to your site as you wish, however, keep in mind that sites with a large amount of pages may take longer to load.